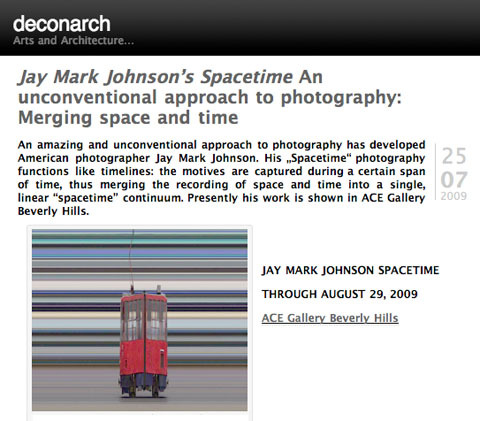 DECONARCH: Jay Mark Johnson’s Spacetime An unconventional approach to photography: Merging space and time was posted on August 25th, 2009 at 3.27pm and is filed under PRESS. This entry has no comments (yet). You can follow any responses through the RSS 2.0 Feed.